TARDIS Artron Furnaces are special furnaces that can use Artron Storage Cells for fuel (as well as coal and other fuels). 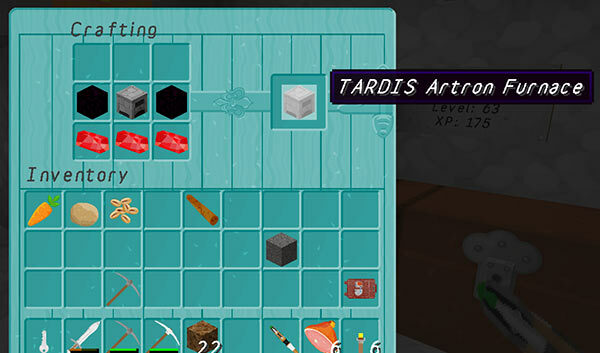 Anyone can craft an Artron Furnace, but only players with the tardis.furnace permission can place them. In order to function TARDISHelper v1.2 or higher must be installed. To view the recipe use the /tardisrecipe furnace command. There is a custom texture and a custom sound for the Artron Furnace if you have the TARDIS-MCP and TARDISSound resource packs installed in the client. burn_limit: [amount] — the maximum amount of burn time a fully charged Artron Storage Cell can have. 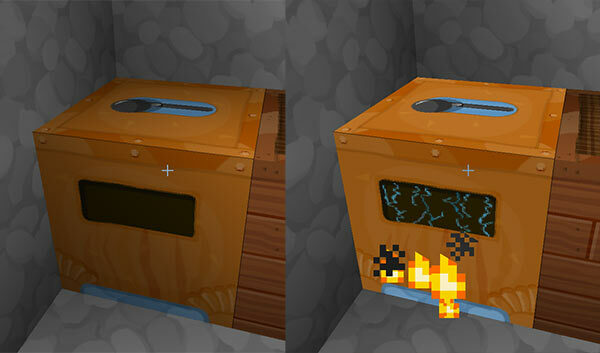 The default settings mean that the Artron Furnace cooks quickly but doesn't burn as long.